At Hiller PC, we help individuals obtain disability benefits and represent disabled individuals in disputes with their insurers. If you are thinking about filing a claim for benefits, or if your claim has been denied or your benefits have been cut off, our New York disability law firm can help. In general, there are two types of disability insurance policies: ERISA policies and non-ERISA policies. ERISA – the Employee Retirement Income Security Act – is a federal law that was enacted by Congress in 1974 to allow workers to participate in government-backed retirement and disability plans. If you obtained your disability insurance through your employer, it is probably an ERISA plan. You can learn more about the ERISA claims and appeals process, here. If you obtained disability insurance on your own, independent of your employer, then it is most likely a non-ERISA plan. ERISA plans are governed by the detailed and complex rules and regulations established by the federal law. Individual policies, on the other hand, are a contract between the insured and the insurer, and are governed by state law. If your claim for benefits is denied, ERISA requires that you go through an administrative (internal) appeal process before you can seek relief in court. Most individual plans allow the policyholder to go directly to court if his claim is denied. If you are denied benefits under an individual policy, you may pursue your claim by filing a lawsuit in state court for breach of contract, bad faith, negligence or other related causes of action. You are entitled to a jury trial, where you may present all relevant and admissible evidence. An ERISA lawsuit is filed in federal court. A judge – not a jury – will decide if the insurer abused its discretion in denying your claim. As a general rule, your lawsuit will be limited by the evidence you presented with your administrative appeal, and your remedies limited to the benefits you are owed, plus interest. 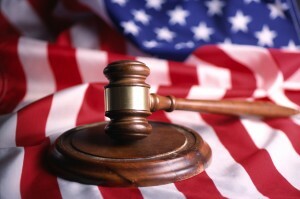 Filing and prosecuting a lawsuit if your individual claim or your ERISA administrative appeal is denied. Whenever possible, we try to resolve benefits disputes without going to court, whether through direct negotiations with your insurance company or through the ERISA administrative appeals process. If we have to go to court, we have the experience and the expertise to take on the insurance company and win. Call us to schedule your free initial consultation with our New York disability law firm, or tell us about your situation using the form on this page. We can review your policy, explain your rights, and discuss your legal options. We will give you and your case the personal attention that can only be found in a boutique firm, plus first-rate legal services of the caliber normally associated with much larger (and pricier) firms.